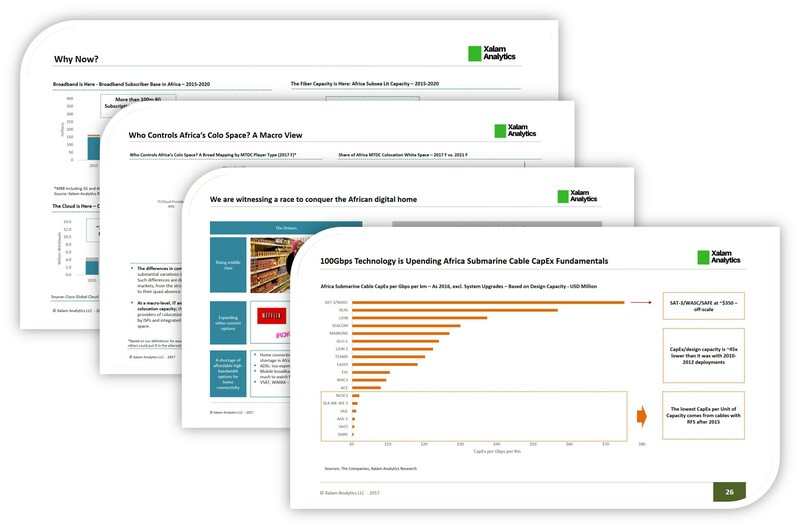 Our African Data Center Report, the second edition of our “Africa Data Center Rises” series, offers what we believe is the most comprehensive independent report available on the African Multi-Tenant Data Center (MTDC) colocation space. The report analyzes colocation demand and supply dynamics, lays out the most attractive markets (not all are), competitive structure and key player strategies. It explores key questions surrounding the African MTDC colocation market from the mundane, yet critical (how many colo data centers are there exactly in Africa, how big is the market, who are the key players), to the more incisive, if complicated. 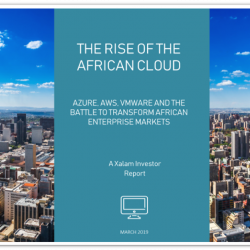 A reference document for any investor in African cloud and colocation markets, all in Xalam’s identifiable no-nonsense, economics-focused style. 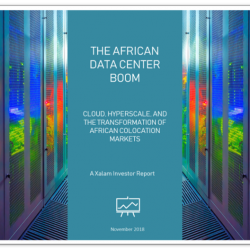 The “African Data Center Rises” report provides an unprecedented view into the dynamics underpinning the African Multi-Tenant Data Center (MTDC) colocation market. 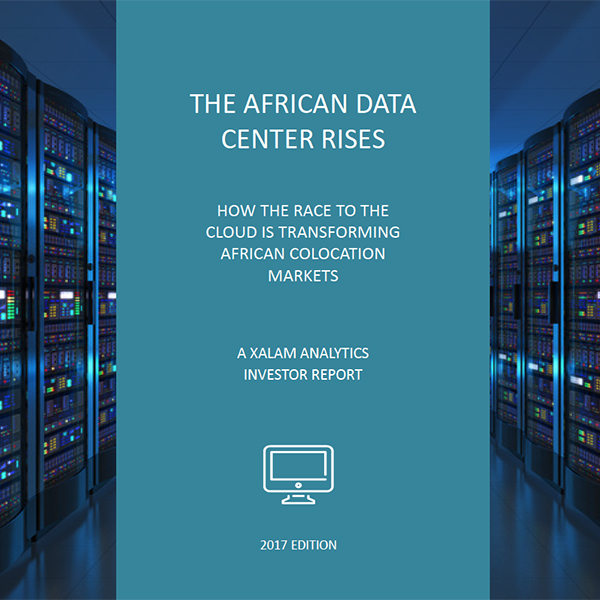 This report, the second edition of our “Africa Data Center Rises” series, offers the most comprehensive independent report available on the African MTDC colocation space. We analyze colocation demand and supply dynamics, lay out the most attractive markets (not all are), competitive structure and key player strategies. We explore key questions surrounding the African MTDC colocation market from the mundane to the more complicated. 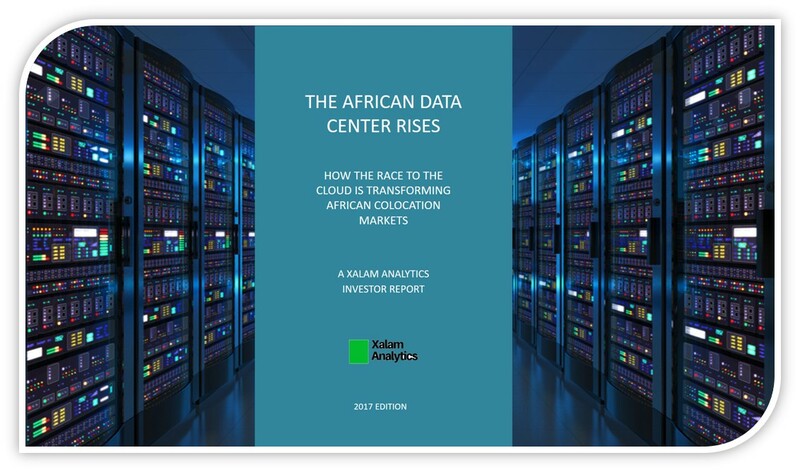 The “African Data Center Rises – How the Race to the Cloud is Transforming African Colocation Markets” report provides an unprecedented view into the dynamics underpinning the African Multi-Tenant Data Center (MTDC) colocation market. This report, the second edition of our “Africa Data Center Rises” series, offers what we believe is the most comprehensive independent report available on the African MTDC colocation space. We analyze colocation demand and supply dynamics, lay out the most attractive markets (not all are), competitive structure and key player strategies. We explore key questions surrounding the African MTDC colocation market from the mundane, yet critical (how many colo data centers are there exactly in Africa, how big is the market, who are the key players), to the more incisive, if complicated (Can African colo players survive on colo only, should African telcos sell their data center assets, how much is Teraco worth, which markets are the most attractive, etc.). 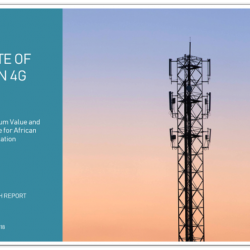 125 Pages of analysis and extensive data on African colocation markets, demand, supply, key players, pricing and evolving business models. HOW MANY MTDCs ARE THERE IN AFRICA? WHAT IS THE SIZE OF THE AFRICAN COLOCATION MARKET? WHAT IS THE DEMAND POTENTIAL FOR AFRICAN MTDC COLOCATION? WHAT IS THE REVENUE SIZE & OUTLOOK FOR AFRICAN MTDC COLOCATION? Which African colo markets are most attractive? 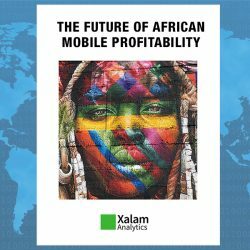 Should African Telcos Sell Their Data Center Assets? Can the African Data Center Survive the Continent’s Power Supply Problems? Why Are the Global Colo Players Not Here Yet? Will They Ever Come? Can Government Data Centers Change the African Supply Picture?